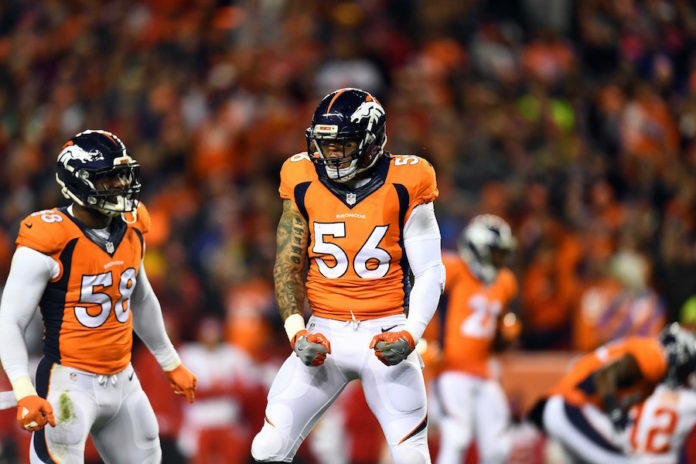 It has only been two years since the Denver Broncos selected outside linebacker Shane Ray with the 23rd pick of the 2015 NFL Draft, yet so much has changed since then. The Broncos roster is different, the AFC West is different, and the expectations for Shane Ray have definitely changed. As training camp gets closer, the Broncos will be looking for Ray to step into a much bigger role on their uber-talented defense. Ray was the SEC Defensive Player of the Year in his final season at the University of Missouri. Yet, he had questions about his health, due to a late-season toe injury that prevented him from participating in the NFL Draft Combine. Then, just days before the draft, he was popped for possession of marijuana. Many teams around the league may have had concerns about drafting a kid with that sort of luggage, but the Broncos saw a tremendous upside to Ray. He was an incredibly explosive athlete that could blow past hapless offensive linemen and make opposing quarterbacks very uncomfortable. 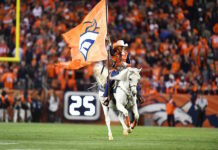 Plus, it helped that the Broncos were in an advantageous position. They already had a top-notch pass rush. Von Miller and DeMarcus Ware were two of the top pass rushers in the league, combining for 24 sacks in 2014. Anything that Ray might happen to give them would just be a bonus. They were able to bring him along slowly, without much in the way of true expectations. In his rookie season, Ray accomplished what very few players do. He played on a historically great NFL defense that carried their team all the way to a Super Bowl victory. He may not have been a starter, but he was still a contributor on a defense that had 52 sacks and forced turnovers in bunches. He finished his rookie year with 20 tackles, four sacks and a Super Bowl ring. His sophomore season would undoubtedly be even better. Although Denver missed the playoffs, Shane Ray’s sophomore season was actually better. With DeMarcus Ware suffering from various injuries, Ray saw his workload get even bigger. He played more snaps. He got more opportunities. He looked like a star in the making, racking up 48 tackles, and eight sacks. Unfortunately, the team struggled. The Broncos lost some talented players via free agency, and the defensive line was no longer as powerful as it had been in 2015. That made it easier for opponents to run the ball on the Denver defense and it kept the pass rush off-balance. The Denver defense still logged 42 sacks, but 13.5 of them were by one player – the All-Pro, Von Miller. The Broncos failed to qualify for the postseason, and many of the experts are picking them to do the same in 2017. We know that they have a number of questions to answer on offense. Yet, with DeMarcus Ware’s retirement, it won’t just be the offense that has some players that need to prove themselves. This team will be relying heavily upon Shane Ray to be even better in year three. It will no longer be enough to show flashes of being a star. Ray will be the full-time starter at outside linebacker in 2017, and he will be lining up on most plays, opposite the best defensive player in the game today. The focus for every opponent on the Denver Broncos schedule is going to be Miller. Not only does Miller make crucial plays at key times, but he demands that you block him with more than one player on every snap. That should bode very well for Ray, who will have the opportunity to go against lesser blockers, and less of them. That has Ray focused on improving on his numbers from last year and reaching similar heights as his mentors. 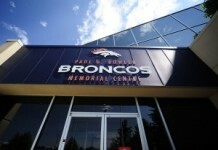 The Broncos have also made a number of offseason moves that should help Ray reach his potential. It is no accident that they brought in Vance Joseph to be the new head coach, or that former defensive backs coach Joe Woods was promoted to lead this defense. Both of those coaches spent time with former defensive coordinator Wade Phillips, and will look to keep this defense highly aggressive. The defensive line has been beefed up with players like Zach Kerr, and Domata Peko to fortify the rush defense. 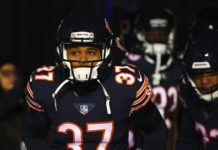 Veteran outside linebacker Kasim Edebali was signed to team up with backup pass rusher Shaquil Barrett, which should provide more depth, and keep both Miller and Ray fresh late in games. When the Broncos first brought Shane Ray to town, the expectations were low. Give the veterans a breather, and try not to screw up anything. Now, the Broncos are counting on Shane Ray to be a bona-fide force, opposite Von Miller. He has a chance to insert himself into the consciousness of fans around the league. He has a chance to become a Pro Bowl selection. And he has a chance to get the Bronco back into championship contention.